Isle of Wight School Day Trip | Chuffed to Bits! 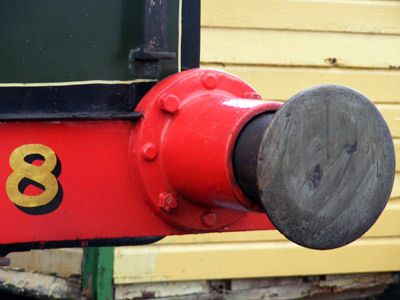 "Step back in time to the golden age of steam at Isle of Wight Steam Railway! 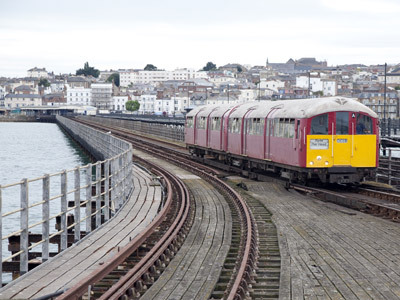 A potted history of the Island's railways from Victorian times to the present day." A living, working museum with heritage railway passing through 5.5 miles of unspoilt countryside. The visitor can expect to step back in time to a bygone age at this wonderfully preserved country railway station. Visit the carriage & wagon workshops and watch restoration techniques in progress, or step into the onsite museum to see an amazing array of memorabilia. 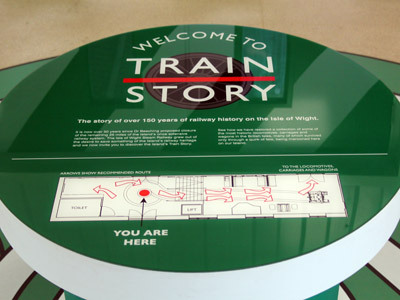 The adjacent modern Train Story exhibition hall presents an interactive timeline of the era of steam with lots of interpretative exhibits and hands-on activities. Students will be able to step into carriages, engines and goods wagons. Take a return steam train journey through to Smallbrook Station near Ryde where the steam railway line connects with the current Island Line electric railway system, which uses restored 1930s London Underground carriages to shuttle hundreds of thousands of holidaymakers and locals between the pier head at Ryde and the towns of Brading, Sandown, Lake and Shanklin. If you choose to travel to the Island via Wightlink's Fastcat passenger service from Portsmouth, we can even arrange for you to arrive at Isle of Wight Steam Railway entirely by train, allowing students to experience both railways in a single visit which helps them understand the differences between a modern system and the heritage steam railway. This option is only available on certain dates - contact our friendly advisors for more details. The layout of the site lends itself very effectively to school visits - with a separate formal museum, interactive museum, play and picnic areas, signal box and of course the fascinating and relatively short steam train ride itself. A classroom with AV equipment is available by prior arrangement, and on-site catering is possible. 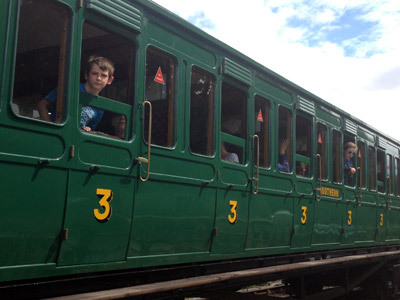 Isle of Wight Steam Railway offers an extremely comprehensive selection of quality pre-prepared teaching resources (over 80) covering all age groups, ability levels, and many different subjects. As an alternative to the catamaran, why not try a Hovercraft flight? This 12-minute crossing is the fastest route to the Isle of Wight, leaving from Southsea just outside Portsmouth.